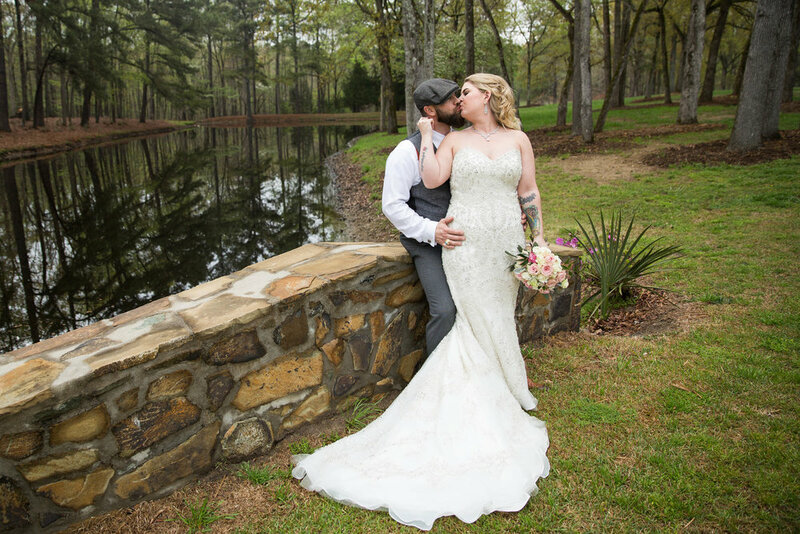 If you love dogs as much as this couple does, you know that you can't celebrate your big day without them! 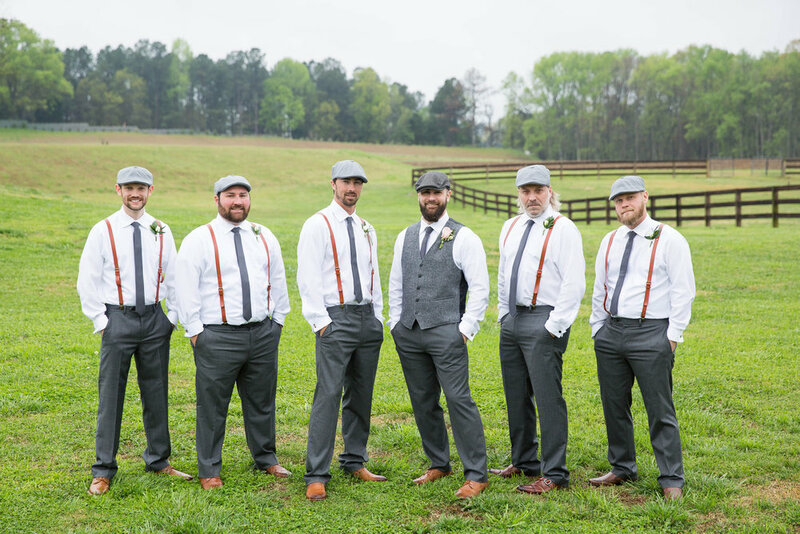 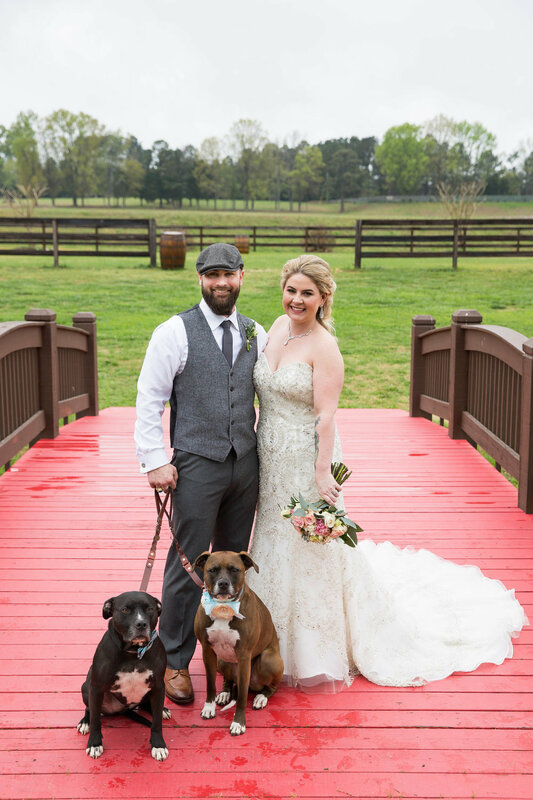 For their wedding at the Farm at Ridgeway, Ashley and Cody had their pups come down the aisle with them and stand by their side as they exchanged vows. 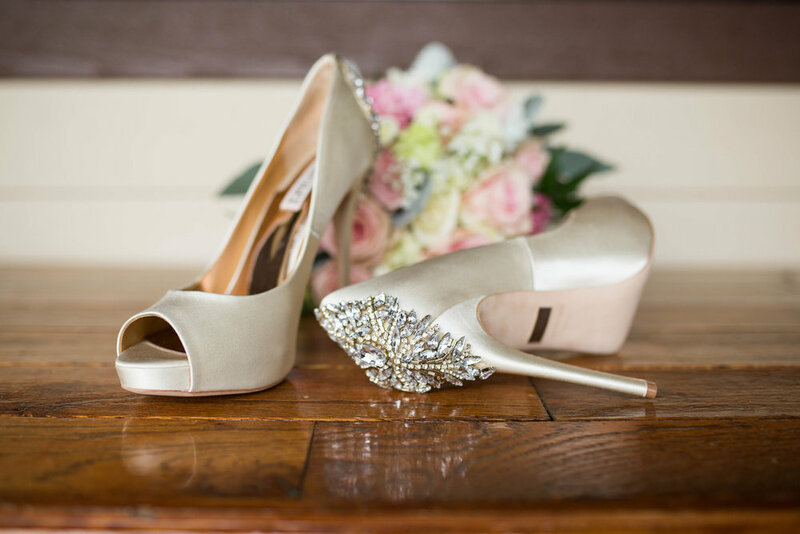 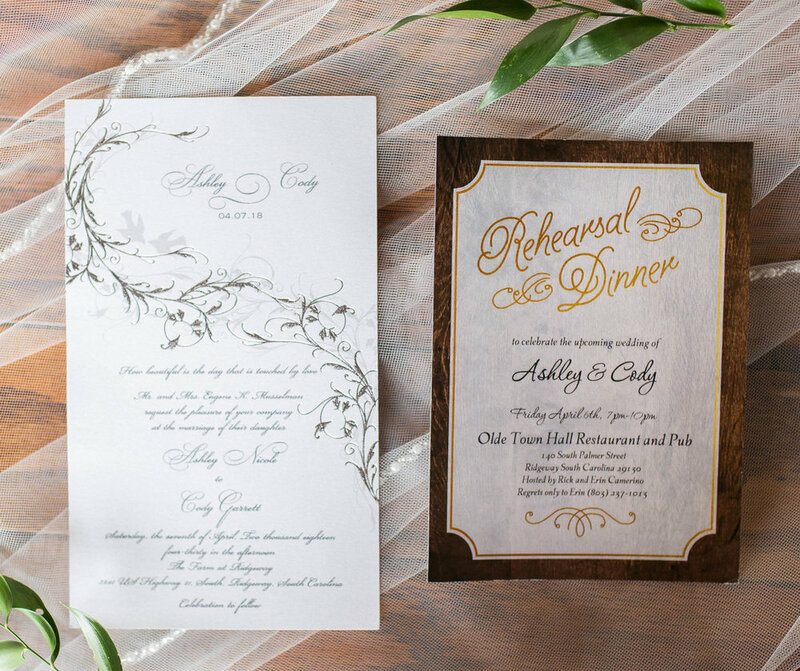 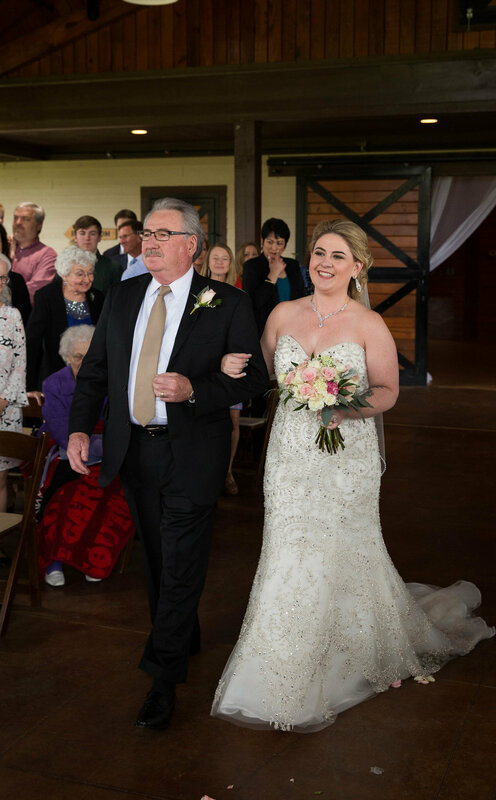 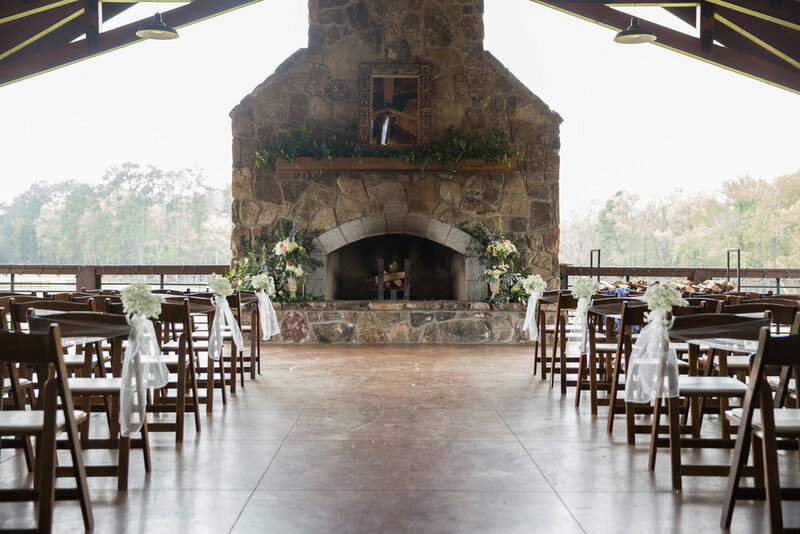 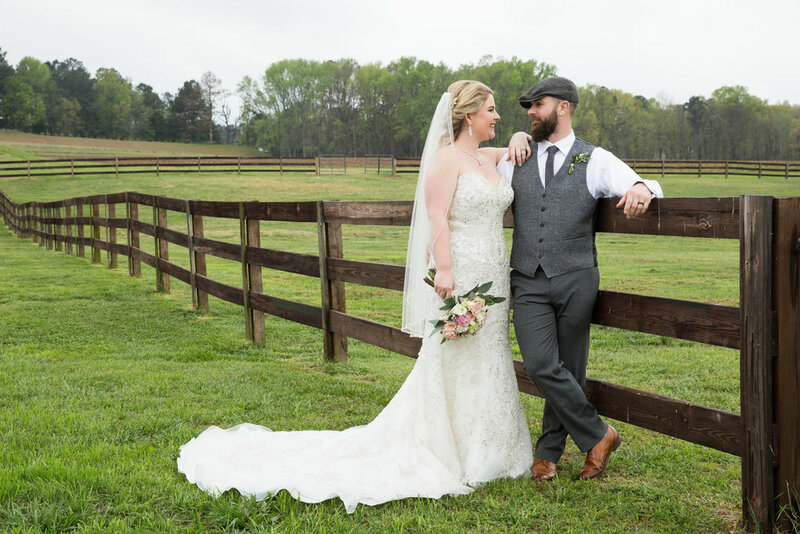 This perfectly embodied the rustic, easy-going feel of this barn wedding near Columbia, and it allowed the bride and groom to focus on one another as they celebrated their vows. 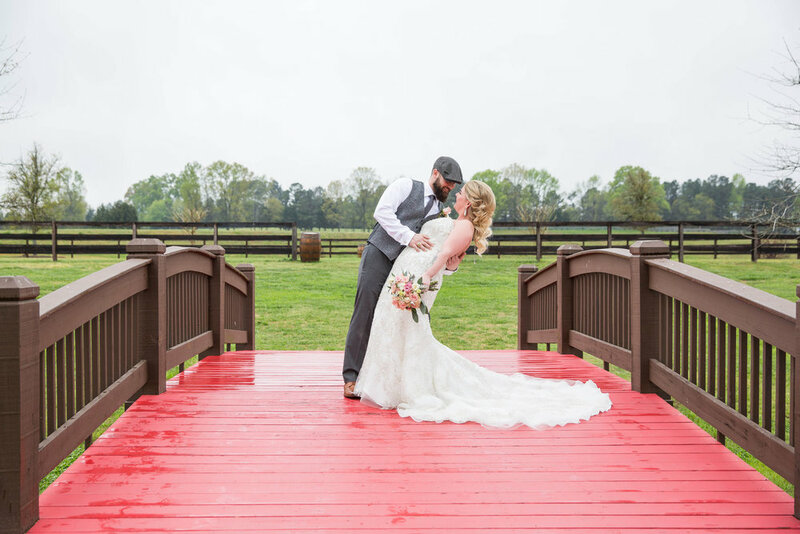 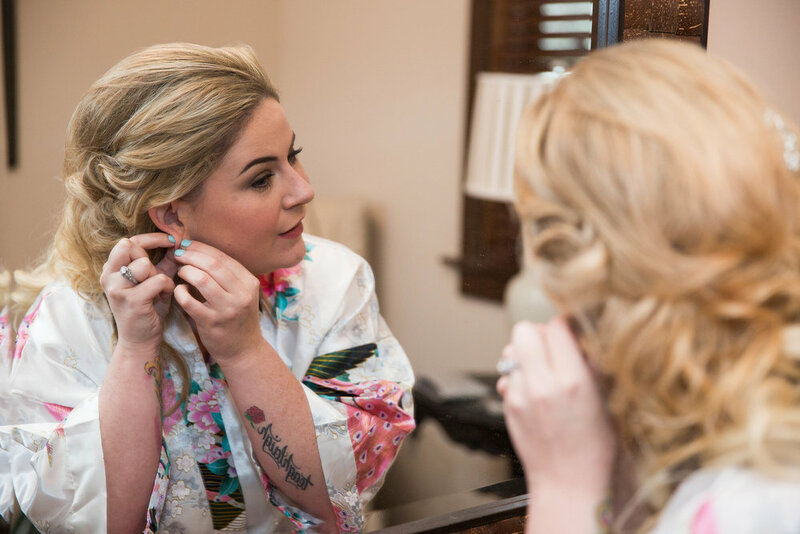 While the weather didn't exactly cooperate on Ashley and Cody's wedding day at the Farm at Ridgeway, the couple and their vendors made the best of this cloudy but very happy day. 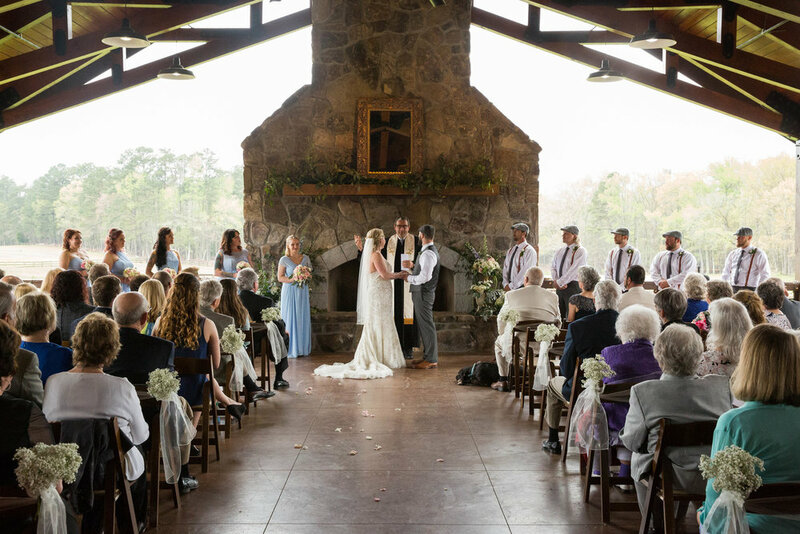 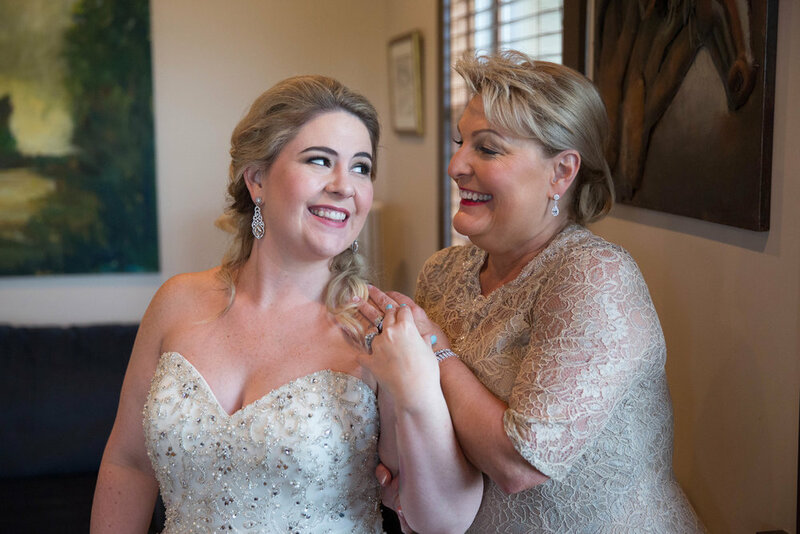 "The day was everything but bright and sunny, but it was absolutely perfect," remembers photographer Nikki Morgan. 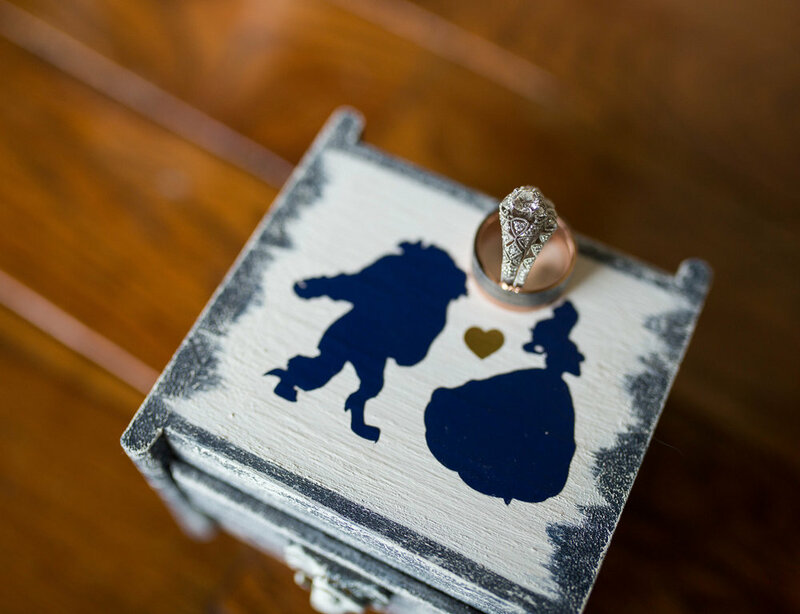 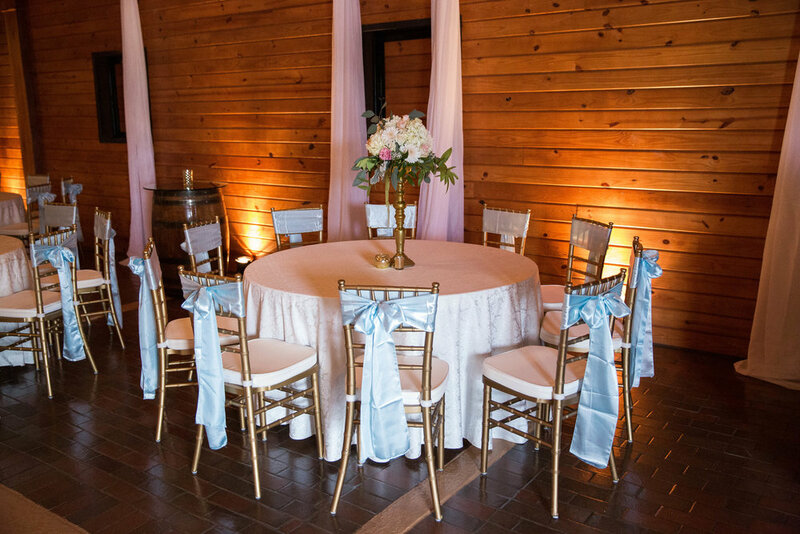 The couple mixed soft pastels with fairy tale elements to create a one-of-a-kind experience for their guests.